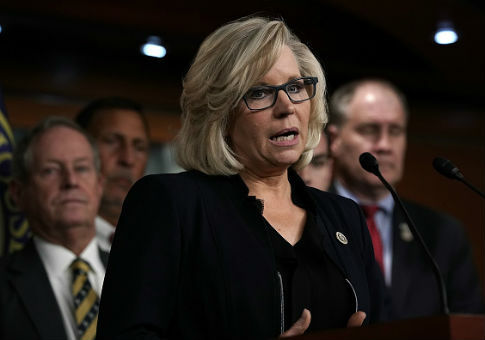 Rep. Liz Cheney (R., Wy.) on Thursday commended President Donald Trump's decision to withdraw from the Intermediate Nuclear Forces Treaty with Russia. "Russia continues to violate the Intermediate-Range Nuclear Forces (INF) Treaty, a fact recognized by Administrations of both parties. Under these circumstances, the United States is the only nation limited by the requirements of this treaty," Cheney said in a statement. "In today’s security environment, that is an indefensible situation. The security of our nation requires that we fully develop capabilities to deter or, if necessary, defeat our adversaries." Trump announced the United States would withdraw from the treaty last month. The treaty, which was signed by President Ronald Reagan and Soviet leader Mikhail Gorbachev in 1987, "banned ground-launch nuclear missiles with ranges from 500km to 5,500km." Cheney said Russian violations of the INF Treaty make withdrawing from it the correct course of action for the United States. "President Trump deserves tremendous credit for recognizing that, after several years of Russian violations, the INF Treaty no longer serves the national security interests of our nation," Cheney added. Cheney was also joined by other congressmen in a letter commending the president's decision. "We cannot allow the United States to continue to be taken advantage of by other nations. In your first two years in office you have demonstrated the courage and leadership necessary to defend America on the world stage. We fully support your decision to once again stand up for the interests of the United States and immediately withdraw from the INF Treaty," the letter stated. Last year, the U.S. pointed to Russia's development of the 9M729, "an extended-range version of the Iskander K, which is a short-range cruise missile that is compliant with the INF Treaty," as a violation of the INF Treaty, according to the Council on Foreign Relations. This entry was posted in National Security and tagged Liz Cheney, Nuclear Weapons, Russia. Bookmark the permalink.